How successful would you be today if you had appeared in the blockbuster film, The Secret? That unique film identified its experts as leaders in the self-help field and made many of them household names. Imagine having an opportunity to appear in the next important film to feature many of today’s thought leaders. You would not only be seen by new and diverse audiences, but you would also be positioned to increase your speaking fees, improve product sales, and achieve the kind of fame that experts from The Secret enjoy today. The Secret had a profound impact on the self-help world and put its experts at the top of this highly competitive industry. That is why, when I was ready to produce my first film, I invited three of The Secret’s experts to star in it. Knowing how significant appearing in a great film was and how it put them on the map, Jack Canfield, John Gray, and Marci Shimoff all jumped at the chance to do it again! Now, as I begin production on the prequel, I have even more stars lined up. What would it mean to your career if you could join them? 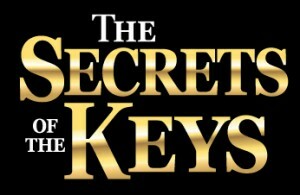 With so many stars bringing their talent to this production, I only have a few spots remaining for successful and motivated individuals who want to be a part of this groundbreaking production, The Secrets of the Keys. I am Robin Jay, and I am an award-winning filmmaker and writer, as well as president of the Las Vegas Convention Speakers Bureau. I know how challenging it can be to succeed as a speaker and how important it is to distinguish yourself from the thousands of other speakers who are vying for the same opportunities. If you are looking for a way to achieve recognition in your field and share your empowering messages, this is it. The experts chosen to be featured in The Secrets of the Keys will forever be associated with the powerful stars of this new film. This film features a cast of some of the most extraordinary speakers, experts, and authors. These internationally-acclaimed celebrities are some of the most sought-after stars in the self-help industry, including Brian Tracy, Academy Award nominated actress Mariel Hemingway, The Secret’s John Assaraf and Michael Beckwith, Dannion Brinkley (author of Saved by the Light), and special guest don Miguel Ruiz (author of The Four Agreements.) This is a golden marketing opportunity for top-level experts to “set themselves on fire” and become a part of one of the most entertaining, engaging, and empowering personal development films ever made. The Keeper of the Keys has won several awards, including Best Independent Film from the Las Vegas International Film Festival and The INDIE Fest Award for Best Documentary. I have to share that I am extremely grateful to have found such incredible experts and speakers for my first film and I hope to discover more outstanding experts for this next film. We have forged bonds with each other and created a profound film that will inspire countless audiences for years to come, and will always remain connected with each other through this fantastic creative endeavor. I can’t wait to do it again! Speakers & Experts: Is this New Self-help Film for You? The individuals I want to feature in my next film are successful speakers and authors. They have an empowering message to share. I also want experts who appreciate the importance of being a savvy marketer – strong social media followings and interview skills help us all to promote our fabulous film! Experts should understand the value of having a big list of contacts and people who will support this project. Many experts know how to market themselves and that is a definite plus for this project. I also need people who are comfortable on camera. We do a great deal of green screen production for this film, particularly for the expert segments. This is very different from speaking on stage or in small rooms. It takes someone who has tremendous confidence and a powerful message. Finding just the right speakers and experts is a bit like finding a needle in a haystack. There are many who have important messages to share … but for this project, I need to choose those experts who know how to promote themselves and their position in this film. 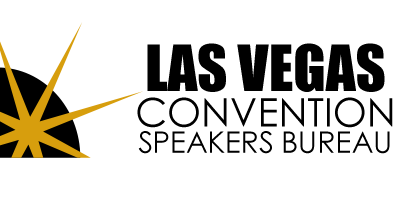 If you think you might have the RIGHT STUFF, email me at Robin@LVCSB.com. Be sure to include your URL and contact information. Video clips are also a must. I will answer every inquiry personally. This is a tremendous opportunity for a few speakers and experts who want to set themselves apart from the crowded self-help field and enjoy a new kind of fame and fortune! This entry was posted in All Blog Posts, How Speakers Can Get More Work, Marketing, Miscellaneous, Motivational & Keynote Speakers, Motivational Speakers, Personal Development Movies, Self-help Films, Success, The Keeper of the Keys Movie, The Secrets of the Keys and tagged "The Keeper of the Keys", Brian Tracy, Jack Canfield, Las Vegas Convention Speakers Bureau, motivational speaker, Motivational Speakers, personal development, Personal development movie, personal development speaker, Self-Help, Self-help Movie, Success, The Secret.